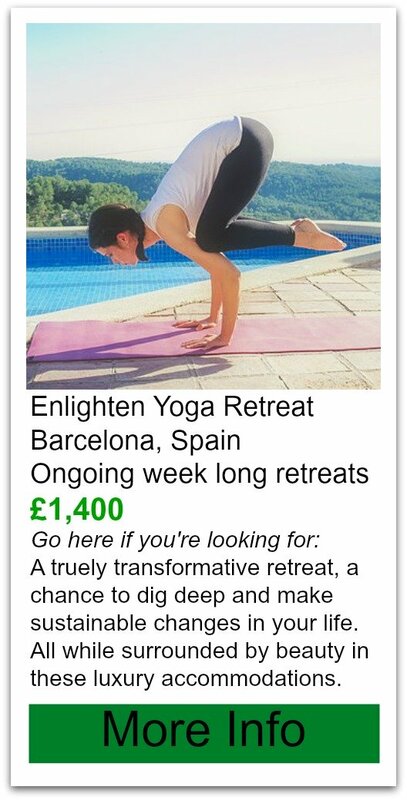 This is one of those yoga retreats UK that I'm very excited about! 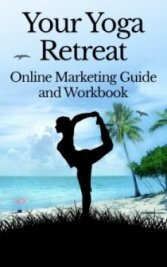 This company specializes in yoga combo retreats. If you’re looking for adventure yoga you have found the mother load right here! They don’t have a regular venue as they travel from fabulous location to fabulous location. 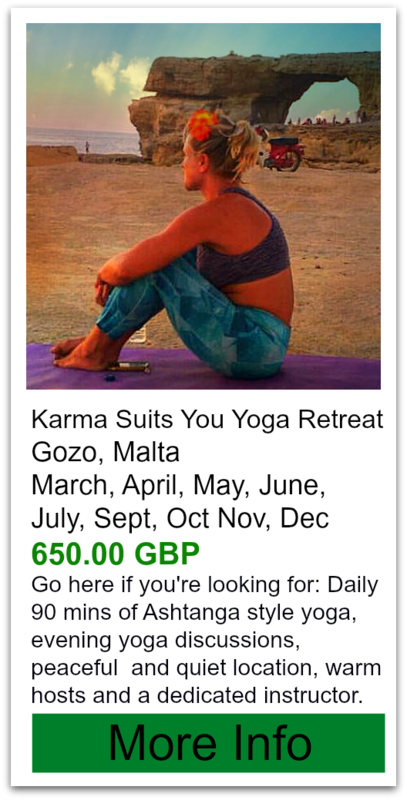 Whether you’re into surfing, snow sports, kayaking, canoeing, mountain biking, hiking, climbing, detoxing or just plain old relaxing Yogi Adventures has what you’re looking for. They even have family retreats. Their accommodations vary from large multi-roomed Bed and Breakfasts to classic resort style, so so the prices vary with it. There are a couple of strong reviews out there and I’ve gotta say I’m anxious to give these a try! Other Activities (other than yoga): depends on the retreat combo- generally skiing, mountain climbing, surfing, relaxing, hiking, mountain biking whatever you like they have. Cost: depends on which of the many retreats they offer but generally you’re looking at 70-150pounds per night per person and length of stay varies greatly as well. Non Yogi partners welcome: ?